When it’s constructed , of course. It’s all a matter of infrastructure. Physical infrastructure that adds to the total cost of $2.1 billion. The money’s about ready, but construction is schedule to begin at an undisclosed date. Though the deadline is 2020. 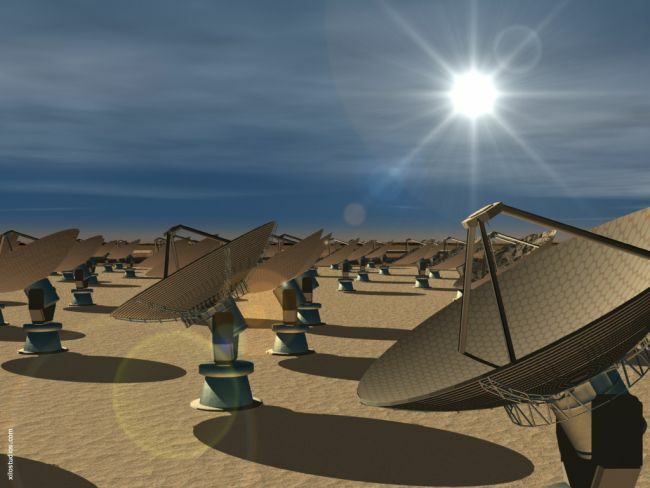 By 2020, the Square Kilometer Array (SKA) radio telescope will be operational and processing 1.5 petabytes of data. That’s no joke as it’s bigger than the internet. So what’s the SKA for? Searching for alien life and other great quests like dark matter, etc. All this according to a professor named Peter Quinn, who shares that the SKA is going to be a “software and IT telescope.” The SKA is a joint project between Australia, New Zealand, and South Africa with additional participation from either NASA or Europe, both of whom will be interested in playing a major role in the SKA’s operation. The sheer scale of the SKA radio telescope, which we think is going to work in conjunction with China’s answer to SETI, ranks it as a new age wonder. Of course, for this to happen, it needs to be built first.